Sometimes we get very caught up in work. We think that if we are busy, then we are successful. If we keep going, we must be demonstrating our worth. This work can get us so tunnel visioned that we lose sight of the moments of opportunity around us. Jesus knew that his work was work of love. Bringing love to the people and love to the world. He also saw that all around him were opportunities for this work. Work wasn’t something that should be restricted to 9am-5pm. Work was caring for the people, and it was something that could be done in every moment, every interaction. For Jesus, there were opportunities for love everywhere. What if we approached life like this? What if we knew that in every smile, and every kind gesture, there is an opportunity for love and healing? What if we saw it as our mission to spread this love and healing to all the world? What if we measured our own success by how much we shared loving kindness with others? 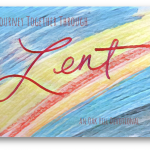 This Lent, I pray that we may take the opportunity to pursue love and healing in every moment of our lives. That we may take a deep breath to examine our work and our mission in the world, and that we may take a step away busy-ness, and toward the work of healing and loving all of God’s people. Gracious God, let me follow in your work of loving kindness. Let me busy myself with recognizing each moment as holy, and let me care for each person who crosses my path. May I be a part of your work on earth, right here and right now. Amen.